Clinic for Molecular Orthopedics Duesseldorf is the foremost center of modern orthopedics. The clinic offers the entire spectrum of diagnostics and treatment of traditional orthopedics, neurosurgery and radiology, but primarily specializes in molecular orthopedics - biological treatment of joint and spinal diseases. Thanks to the extensive experience of the medical team of the clinic, sparing, innovative methods, all orthopedic problems can be successfully solved. In a friendly atmosphere, an experienced team of medical specialists, composed of orthopedists, neurosurgeons, surgeons and radiologists, carefully studies the condition of patients using the latest diagnostic technologies. 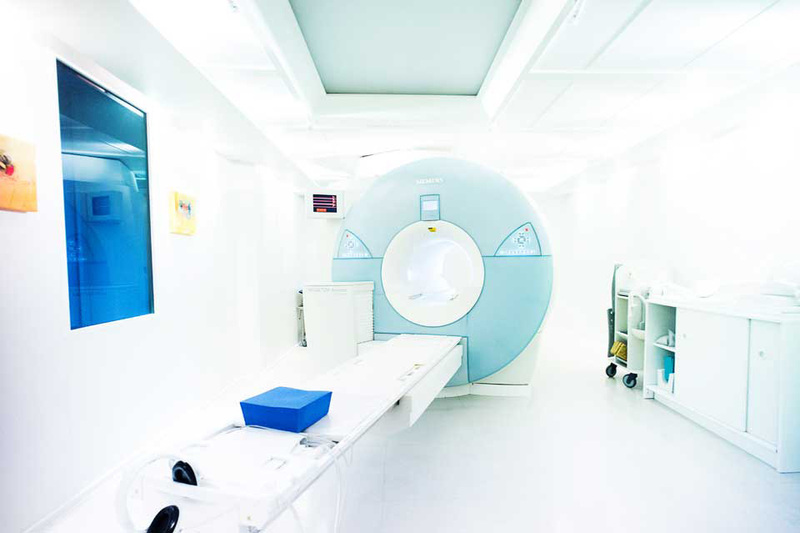 The clinic has ultramodern diagnostic facilities, including a radiological department with magnetic resonance imaging (MRI), computed tomography and digital X‑ray, laboratory tests, neurophysiological studies, etc. Then, based on the diagnostic results, an individual treatment scheme is developed as soon as possible. A full range of interventional and non-interventional treatments is available. Priority is given to sparing, minimally invasive methods. The department applies both proven traditional and new biological agents that allow to stop inflammatory processes, stimulate regeneration of articular cartilage, or accelerate synostosis after fracture. The medical team makes every effort to provide the most rapid relief from pain and functional recovery so that the patient can resume his normal activities. 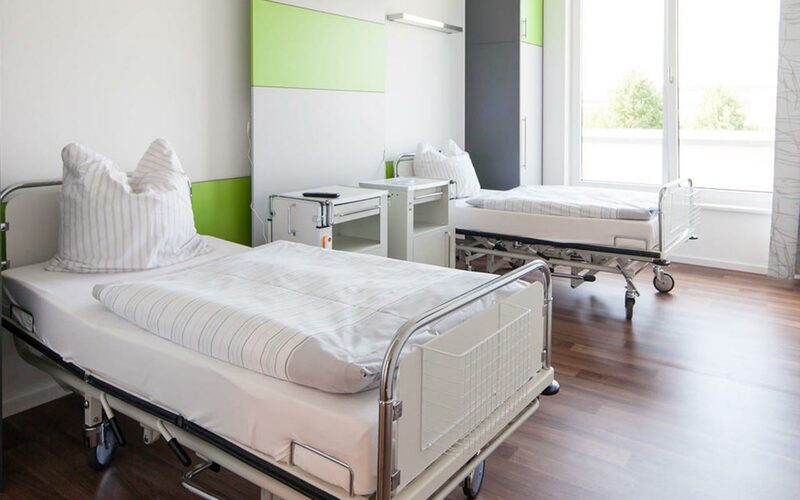 All patient rooms are equipped with everything necessary for a comfortable stay during the treatment. Optionally you can book a single or a double room. Closet with a safe for valuables. TV, telephone, free wireless Internet Wi-Fi. The hospital kitchen offers a varied, nutritious food. Breakfast is served at 8 a.m., dinner at 12 p.m. and supper at 5:15 p.m. Patients may choose between three different menus for dinner. Breakfast and dinner are individually composed for each patient from the first day of patient's stay in the hospital. Of course breakfast and supper menu can be changed, if necessary. In addition, patients may help themselves with free mineral water, tea, coffee, and also a fruit plate at any time of the day. There is a free TV for every patient at hospital. Each room has a remote control with a room number marked on it. Duesseldorf is the capital and the second largest city in the state of North Rhine-Westphalia. Dusseldorf is one of the most economically developed, cultural and political centers in Germany. The historical center of the city is located on the right bank of the Rhine, at the confluence of the river Dussel. 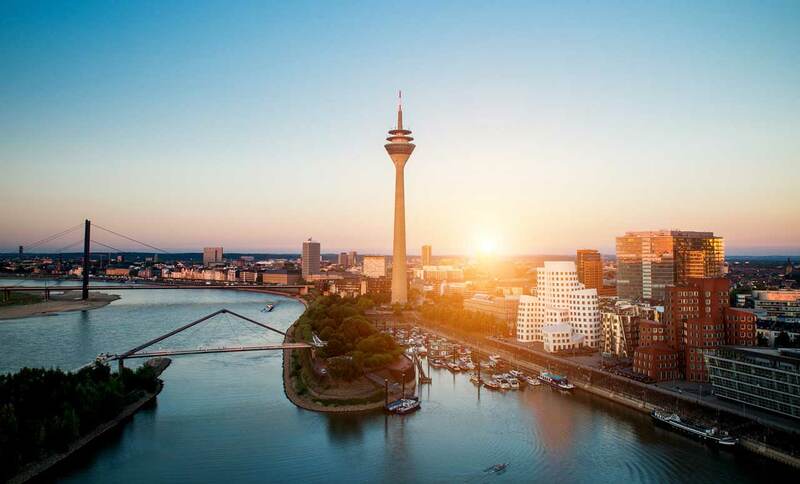 Dusseldorf is known as a city of art, theaters, and education. 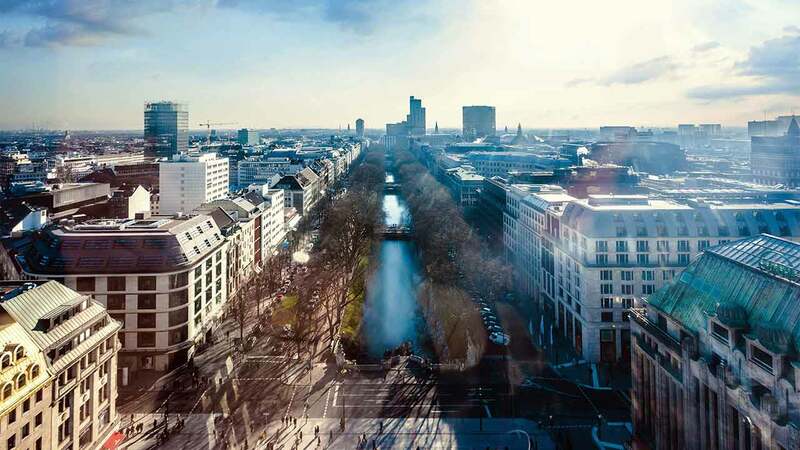 The main attractions of the city are the market square with the town hall, Art Collection North Rhine-Westphalia, the Dusseldorf Theater, numerous art museums, etc. Of course, it is also worth to enjoy a walk along the central street of the city, the Royal Alley Boulevard.